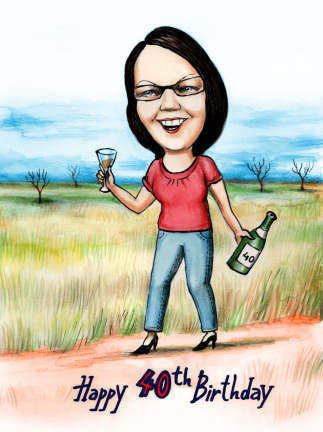 Here is a fun 40th birthday gift caricature by artist Zalo. Caricatures make great birthday gifts for any age!! Our artists can create anything you wish, from relatively normal, to the outright outrageous!